This week we have been training with Sophie, James and Kyla, players from England who have visited our academy already for the third time and are part of our BTA family. They usually come to our academy for a one-week programme, which is filled with a variety of diverse activities. Our morning sessions consist of drills, the major emphasis of which is work on proper technique. During this stay of the players, our head coach Jordane and coach Sixto worked to develop their top spin technique, balance and on-court movement. In the afternoon, we focus on match play, during which we closely monitor their progress and analyse what needs to be further worked on in terms of technique. We make sure that players face different kind of opponents so that they can add to their match experience. Apart from the technical trainings and matches, the players participated in sessions of fitness. Our academy is located about 10 minutes away from the beach, so we take advantage of the training possibilities this amazing setting offers and organise some fitness trainings on the beach. In addition to the practices on the court and and physical conditioning, we run for them group mental sessions with our sports psychologist. Mental trainings are of crucial importance for players of all levels. 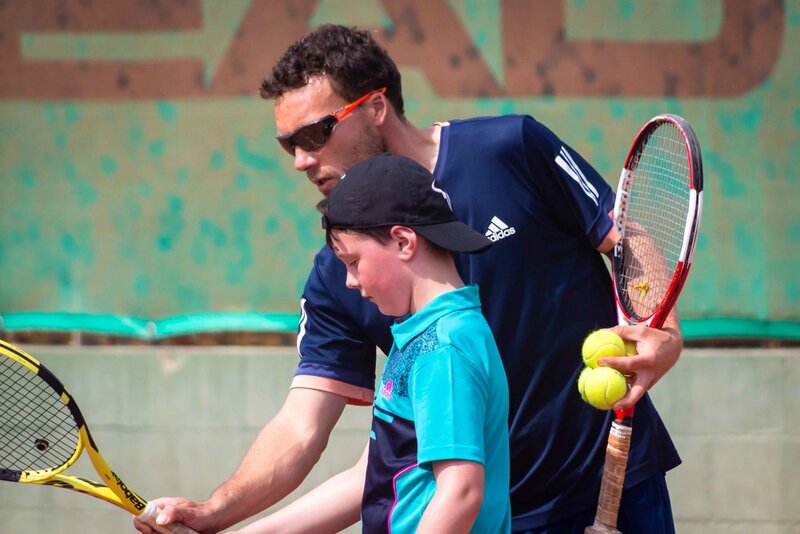 They open players to new ways of exploiting their potential, regardless if they train for a Grand Slam or just want to enhance their mental skills, for example, to work on their concentration or manage their energy in a productive way. During this week our psychologist Oriol Mercade focused on match analysis, presenting our players with techniques of goal setting and progress assessment. As always, we greatly enjoyed our trainings with Sophie, James and Kyla and we look forward to seeing them and their families again!